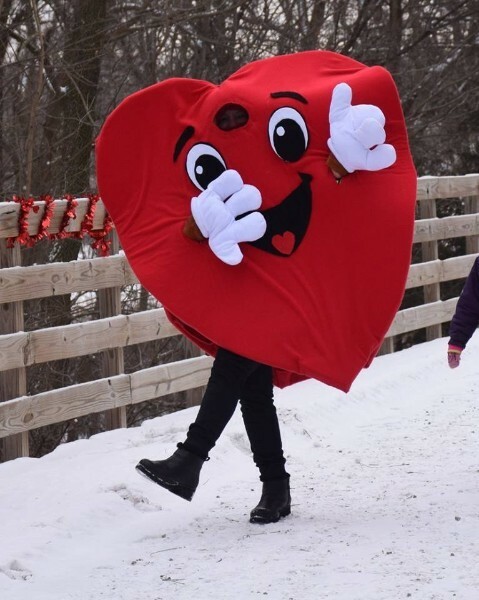 Join us to run (or walk) at our 9th annual Healthy Hearts Run! Entrants are encouraged to wear RED! An awesome soft blend long sleeve race shirt plus delicious Valentino's post-race pizza and refreshments are included in your registration! Race start and finish at Homestead Trail, 701 Dorsey St., Beatrice, NE. The course is out and back on the Homestead Trail. It's a fast and flat crushed limestone trail. REGISTER online @ getmeregistered or by mail in. Entry form will be posted here. 5K: Top 3 in Male/Female 39 and under & 40 and over. 5K Couples Division: Male/Female (combined times)do not have to run together. There will also be a "best dressed in Red award." Proceeds will go to 2 members of our local running club and their families that have been battling cancer.